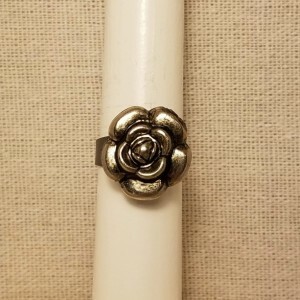 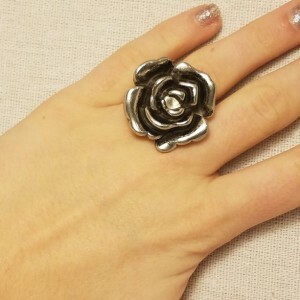 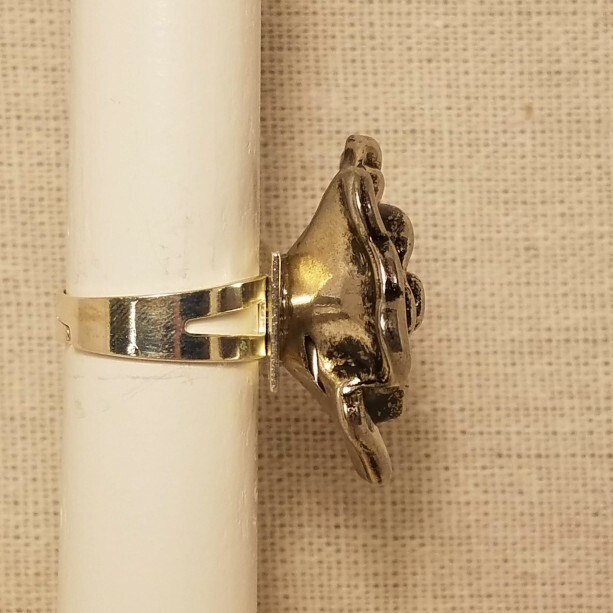 This ring is a beautiful silver base with a large silver flower on top. 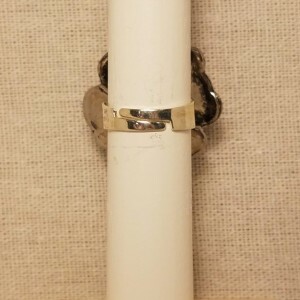 The base has a v cut slit on both sides and it comes together as it goes closer to the adjustment. 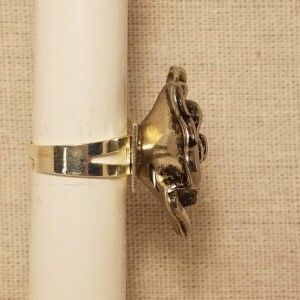 This ring is a one size fits all and the band can be moved to fit to size. 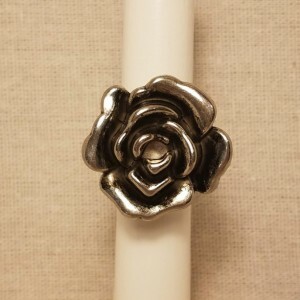 This flower also is about one inch across and sits almost one inch off it's base.